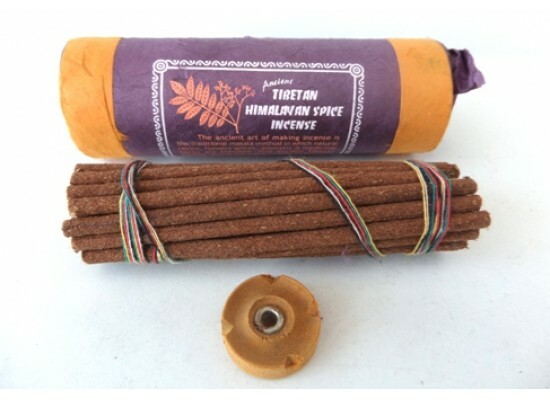 Tibetan Himalayan Spice Incense. 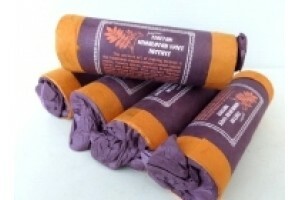 The ancient art of making incense uses the traditional masala method of blending natural resins, flowers, spices and medicinal herbs. 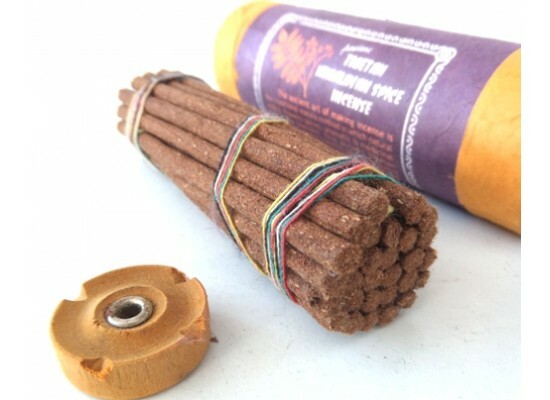 This incense revives this tradition with its exclusive and delicious masala fragrance of Zanthoxylum (Bhotetimur) and Himalayan Herbs. Perfectly safe for inhalation and for the environment. Approximately 30 sticks and one incense burner. (Burns up to 40 minutes). Handmade in Nepal.